Blendo Games‘ Brendon Chung joins Rob and Julian to talk about Flotilla, Atom Zombie Smasher, Gravity Bone, and his approach to design. 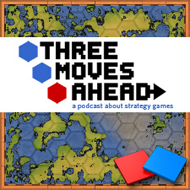 Rob and Julian are fascinated by his willingness to conclude a game when it is at its best, and Brendon explains why that is and the things from his own games that he wants to revisit. Rob is crushed to hear of the lost, X-COM style metagame for Atom Zombie Smasher.